Saturday, September 8: KIM Ki-duk's "Pieta" wins Golden Lion for Best Film at la Mostra in Venice. The first time a Korean movie ever wins a top prize in a major festival. Park Chan-wook's "Oldboy" would have won the Palme d'Or in Cannes in 2004, had there been no US elections later that year: Michael Moore's "Fahrenheit 9/11" clearly received a push to balance Bush-Cheney's Weapons of Mass Disinformation. I eventually decided to serve all 5 at once, "bibim" (bibim pop culture?). Not because I'm a lazy fella, but because together, they tell a lot about the strengths and weaknesses of Korean culture today. The point? Korean culture is very much alive and kicking, thank you, and there are many reasons to believe that the future is even brighter, but the ecosystem is not totally sound, and it could become even stronger, more creative, and more sustainable. 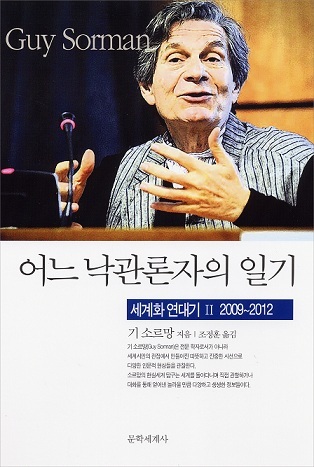 Before moving to Korea from France, 21 years ago, I had a tough time reaching for Korean culture (or rather "Korean civilization", as Sorman is right to emphasize). I had the chance, as a kid, to own a book of traditional Korean tales, and as a student, to have met a few Koreans and expats who'd lived there. But even in Paris, home to "Langues O" or Musee Guimet, you had to dig deep. Heck. Even after landing in Seoul I felt frustrated: the first day, if it weren't for that courtesy visit to the office downtown, I wouldn't have caught a glimpse of Namdaemun in that - already back then - sea of high rise buildings. 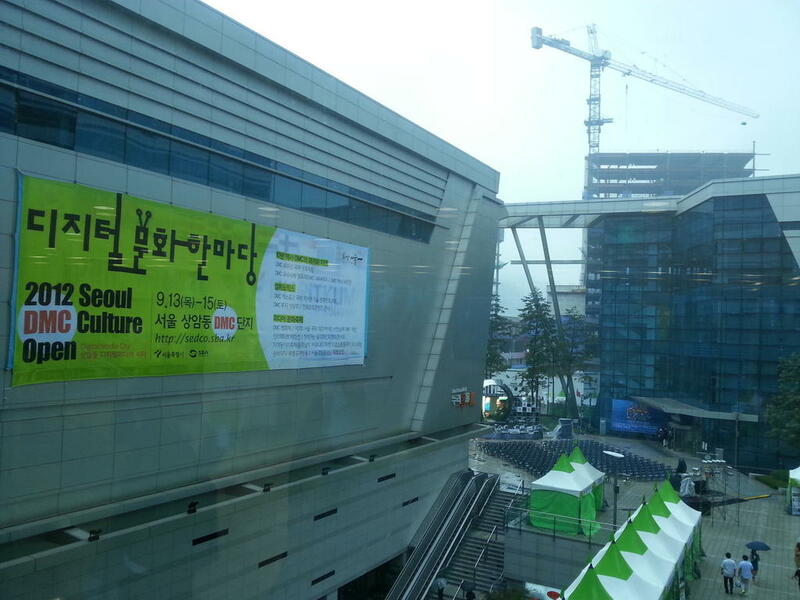 Now, Seoul's cultural assets are much more highlighted. And now that the whole world is one click away, a Psy can Gangnamstylize tens of millions of people within a few days. Koreanity / Koreanhood / Koreanness / Koreanitude reaches beyond Korean nationals and expats, and millions declare unconditional love for the country even without having set foot in the Peninsula. But precisely, because the whole world is one click away, the fad can pass, the wave recede, or even turn into something negative: if a wavelet can be cute, a tsunami is rarely welcome. Consider this: the Korean movie industry partly owes its boom to Hollywood. As a reaction to US lobbies who pushed harder into the country, it received a support similar to that of cinema in France, and it's no wonder both countries boast strong market shares for local productions. So much for the "invisible hand" of the market, Mr Sorman. - Food. I won't repeat my usual pitch**** on this vital dimension of Korean culture, arguably its best chance of shining durably. The globalization of Korean cuisine is now clearly identified as a major project, and Korean "brands" are getting more visible (dishes, industrial products, ingredients, restaurant chains...), but the political will doesn't always translate in tangible results. Among the most interesting "quality" trends: the rise of slow food and 'appellations', the invitation of world chefs to discover and adapt Korean cuisine and its ingredients... The future lies in the hands of amateur cooks across the globe, and on millions of palates, far beyond those of connoisseurs. And yes, street foods are as important as the finest dishes. - Land. Korea is at last becoming a touristic destination, and every year visitors discover new dimensions beyond K-drama hotspots and UNESCO landmarks. From Boryeong Mud Festival to Temple Stay, the whole spectrum is covered. 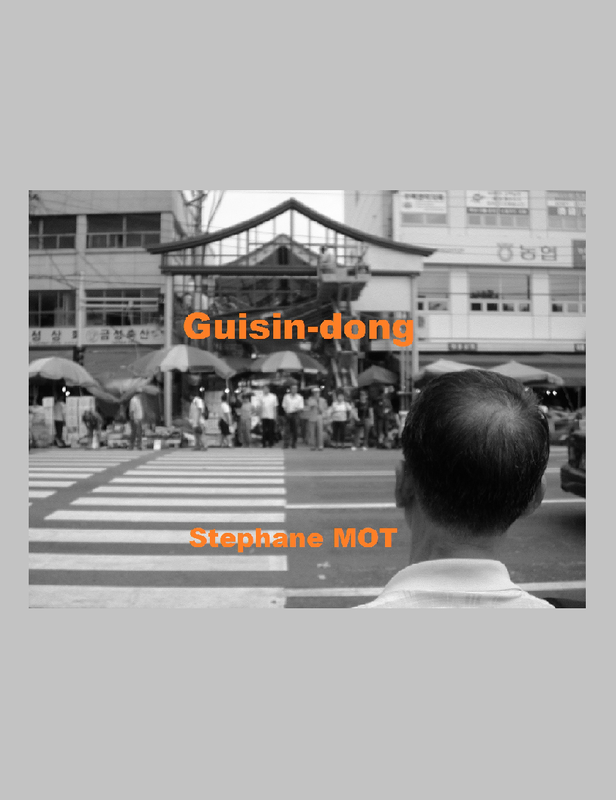 All major international editors have now produced guides, and the literature about the country has boomed everywhere. I can't believe the number of magazines and blogs covering every dimensions of Korea. When I started this excuse for a site, I would never have dreamed to see a blog devoted to Seoul subway station neighborhoods (the excellent Seoul SubUrban - seoulsuburban.com), or so many sites gathering so many great pictures of Seoul's fascinating alleyways. And like everywhere else, the democratisation of SNS, imaging tools, location based services enabled an always on process of mapping, recording, tracking - another reason why, for instance, I don't need to post about restaurants anymore. 20 years ago it was almost impossible to find pictures of old Seoul, and now the city does a terrific job at compiling its archives (see "Seoul Through Pictures 6", "Seoul from above : 40 years of archives soon available"...). I'm also glad to see Seoul city's official Facebook page move progressively away from the K-pop bubble and propose series of photos showing all different aspects of the city, even less glamour ones. - Music. Saying that The Noraebang Nation loves music is an euphemism. But it's significant to notice the differences between "artisans" and "creators": on one hand world class musicians, directors, and voices, on the other few composers or writers really well known abroad. Personally, my favorite Korean song is LEE Mi-ja's "동백아가씨" ("Dongbaek agassi"), a trot that would sound corny as hell if it weren't for LEE's haunting voice. Of course there are great composers and writers, but vibrant democracy activist anthems belong to the past, and if the indie tradition remains, that side of Korean culture is not really well known overseas. Korea is nonetheless becoming a place where important things happen, with a vibrant rock festival scene, and systematic stops for the world tour of top names, from Lady Gaga to Robert Zimmerman (see "Bob Dylan knock knock knockin' on Seoul's door"). Mind if I don't mention K-pop? Actually nowadays, many K-pop hits are composed by non-Koreans - unlike Seo Taeji's "Nan Arayo! ", a hit that crossed the frontiers long before the nip and tuck factory (SM Entertainment, YG Entertainment, JYP Entertainment) started mass producing dancing clones for export markets. Anyone can make it on YouTube and the success of PSY is a refreshing break, but this virtual horse rider does belong to a major stable. - Performing arts. Definitely a strong point for Korea, particularly when you mix dance and voice. From Korean drums to Nanta, from mask dances and shamanic 'gut' to b-boy, from Pansori to K-pop... Yes, that's where I put K-pop, a popular kind of performing art where dance and surgically enhanced masks matter more than music itself*****. Even RAIN is better known for his looks and dance than for his songs, which he writes himself. Note that if the country can boast a strong tradition of festivals nationwide, it has not yet become a place where international artists create major works. It shouldn't be long though, and not just for a question of infrastructure (see previous episodes of the Seoul opera drama). - Plastic arts. Forty years later, PAIK Nam-june remains the country's only artist with a global star status, and he was not recognized home until the dictature he fled fell. But many creators deserve critical acclaim, Seoul and Korea are a place to be (see "SeMA to block blockbusters"), and there's a lot of money around. Of course, as is too often the case with contemporary art worldwide, outsiders have a tough time getting their chance. But the ecosystem seems very strong, and all bases are covered: young talents, galleries, museums, patrons, exhibitions... And creatively speaking, the tradition-modernity continuum is perfectly working. - Cinema. Hallyuwood has never been stronger, and its future headquarters, the DMC, is not even fully operational. BIFF contributes to fuel the influence of an emerging Asian champion. Popular filmmakers and actors are getting international recognition (Park Chan-wook, Bong Joon-ho, Choi Min-sik, Song Kang-ho, Jeon Do-yeon...), even if it's a total outsider who caught the spotlights this year: KIM Ki-duk has always been rejected by Korea and recognized by Europe. Korean auteurs regularly receive critical acclaim in international festivals, and there seems to be room for everybody. Yet the system is dominated by very strong players who sometimes deprive creators from their authors' rights, because they're simply used to take all the value, not to share and nurture it. - Media, Broadcasting. Korean media are not yet recognized as major global players, but media concentration has considerably increased under LEE's presidency, and traditional Korean broadcasters have gained visibility overseas, in particular with Arirang and KBS World, sending regular waves to the most distant shores. Among potential global powerhouses, CJ Group can leverage a full control of the value chain at home (production, distribution, broadcasting,...). The quality of contents is an issue: K-dramas are more consumer goods than timeless masterpieces; good exports in the short term, liabilities for the image if nothing comes next. The Land of Netizens has brought major innovations in the online media landscape (ie Ohmynews, Cyworld), but always struggled when it came to build truly international platforms.
. Sports. The successes at the Olympic Games, the World Cup, or golf tournaments are fine, but Taekwondo played a very important role in the diffusion of the culture. I remember my surprise the first time I heard all the Korean words my teenage nefew learned in France along with the sport. Sports was also the medium that accelerated a minor yet significant cultural change: Western newscasters were criticized for not pronouncing Korean names correctly, and the right order prevailed at the turn of the millenium.
. Games are another interesting entry point. Unfortunately, the popular MMORPG invented in Korea, Lineage, has no reference to Korean culture whatsoever.
. Intangible assets. Korea protects its Great Masters, but a little bit too much. The cult of "wonjo" ("original") is a drag for the evolution to new levels, and the old masters are idolized to the point they have no contact with younger talents nor time to teach and pass the knowledge to the next generations. Han-dicrafts are han-dicapped.
. Architecture. The ondol and hanok revival also reaches beyond borders, and old techniques are successfully adapted to modern architecture. All the big names of architecture have produced one or several buildings in Seoul, but Korean architects are not famous overseas. Except for some interior design and a few really creative people who were allowed to toy around on a smaller scale, no wonder if you consider most landmarks. Of course, all this is very subjective, selective, reductive, but the trends seem clear: globalization is under way, but more could be done to boost diversity and creativity, and to develop pedagogy / awareness / opportunities for the public. - more sub-titles for Korean movies: Seoul is multiplying foreigner-friendly theaters and that's great, but with IPTV all Korean movies should be available with this feature. I'd watch ten times more Korean movies if this simple revolution happened. - guarantees for authors and creators: scenarists should be credited and keep their authors' rights, artists should get the fair payment for their work, not just feel grateful for being exposed. - and most urgently, a licensing system that specifies the duties of broadcasters for cultural diversity. If you zap channels on your TV, all movie channels air the same kind of popular action movies and the pedagogy cannot be done, the public is not even aware of the existence of other contents. And it should not only a matter of what but a matter of who: major broadcasters should be prevented from using solely their own catalogue, and even finance independent creation as is the case in France. There's no other way of guaranteeing actual cultural diversity, and of course a sound and balanced ecosystem. ** see among other posts related to the DMC: "Seoul Digital Media City Tour" (July 2010), "DMC aims at Tinseltown - welcome to Hallyuwood !" (February 2011), "DMC at full throttle - Songdo from Sim City to Sin City ?" (April 2011)... Note that SMG wants the buzz to move to the other side of the Han River, towards its Magok District project in Gangseo-gu. *** see "Hangeul exports to Indonesia subject to dumping?" **** see "Korean Cuisine Aiming At World's Top Five. China is watching"
***** and a non-sustainable business as it is - "K-popping bubbles"